At work, I park on the top of a huge multi-story steel-frame carpark. I often wondered about using it as a ground for a HF vertical (yes, I’m that much of a nerd). I hatched a plan to give it a try! 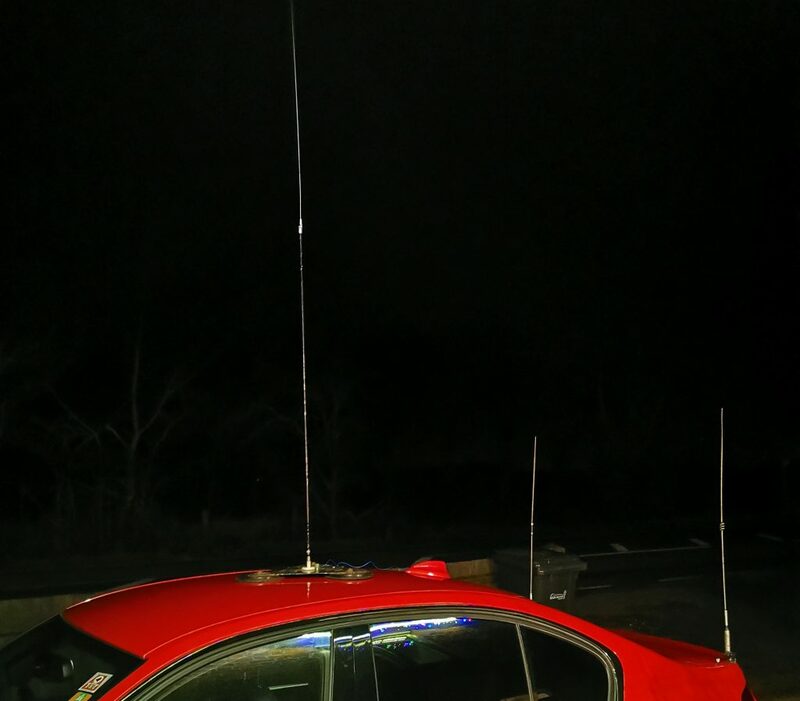 Using a 80m HF mobile whip (borrowed from Rob M0VFC) fixed to a large triple-magmount base on the roof of my car, I was able to connect a ground strap using some wire to the car body, and trim the HF whip in to resonance with my EU1KY Antenna Analyser (which is awesome!). The plan was to connect to the ground strap to the carpark frame when at work. 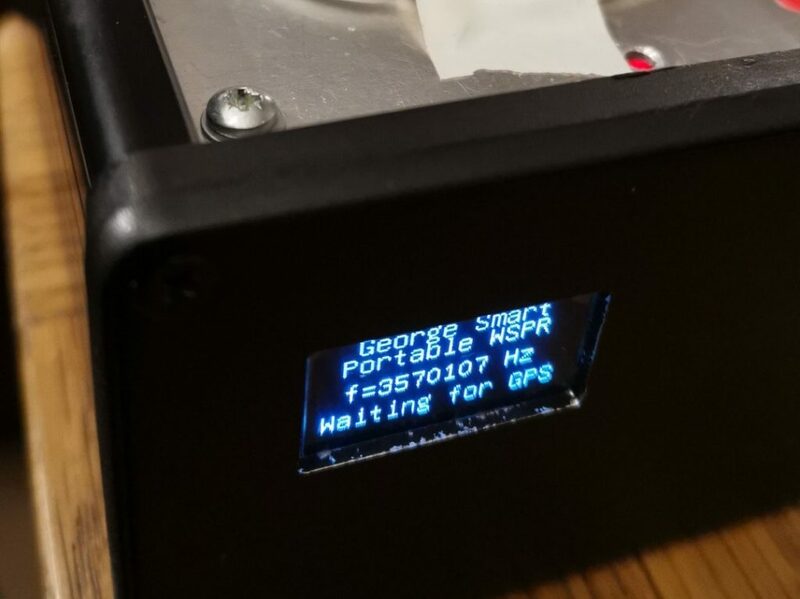 In previous projects, I had made a WSPR beacon in a small project box with an OLED display on the front. The beacon takes a GPS antenna on SMA and outputs WSPR transmissions on frequency for direct connection to a low-pass filter and antenna. 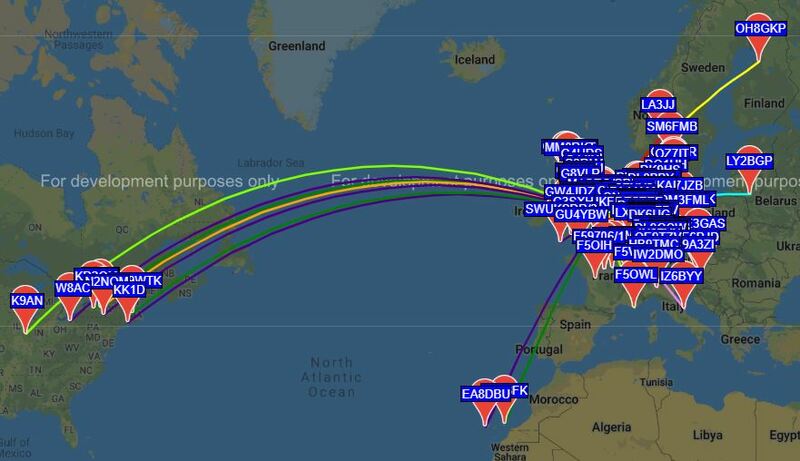 Over the course of a day, I left the WSPR MEPT transmitting from the car, parked on my driveway, and achieved some impressive distances considering how inefficient these antennas are. The transmitter was set to a power of 1W, and I wasn’t expecting great results considering the antenna compromise. The results were not bad for something less than 3 metres long on the vehicle roof! 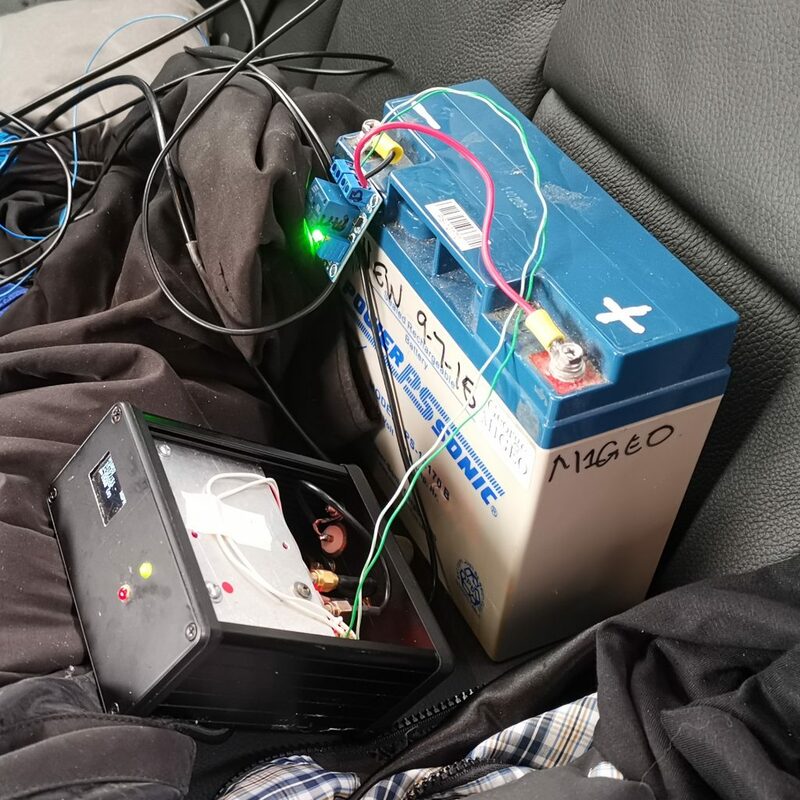 The transmitter was powered from a 12V/12Ah sealed lead acid battery with a low-voltage cut-off relay.